Reclusive website designer Thaddeus Webb thinks he knows the internet, but a brief excursion into its shadier regions throws up more than he bargained for. He stumbles across a harrowing video of a captive girl, her destiny to be decided by paying voters. When it becomes clear the authorities aren’t taking the plight of the victim seriously, Thad knows he can’t stand by and do nothing. Could this be his chance to redeem himself for the sins of his past? Before he knows it, he’s become embroiled in a search that traverses both physical space and cyber-space as he works to track down the untrackable, trace the untraceable, and try to save the blameless teenager before the vote reaches its grisly conclusion. 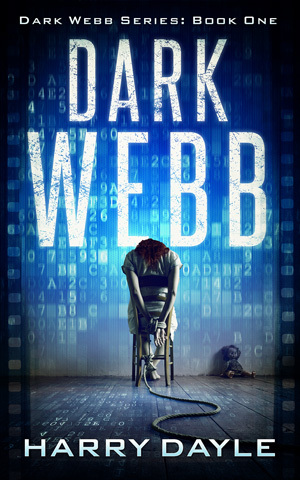 Dark Webb is the first in a brand new series from Harry Dayle, author of the acclaimed Noah’s Ark and The Faslane Files.